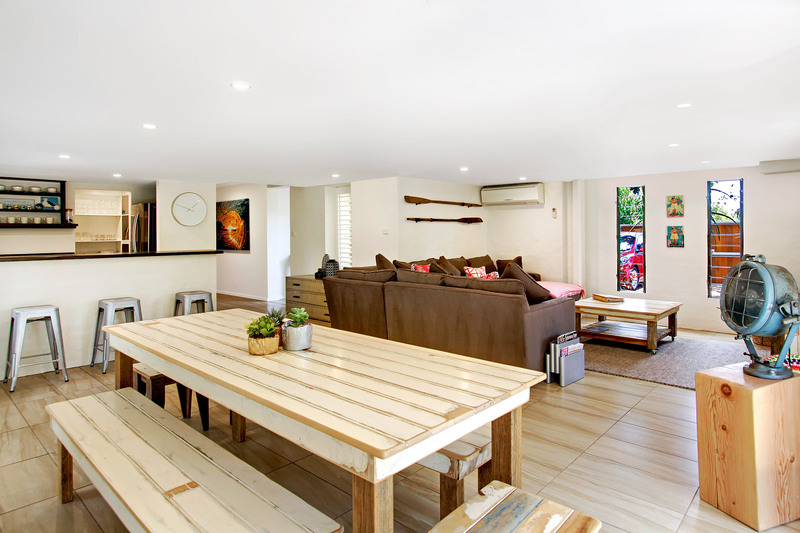 Enjoy your next holiday on the shores of Belongil Beach in Byron Bay at Jimmy’s Beach House - a lovely, light-filled and airy 5 bedroom, 3 bathroom holiday home that accommodates 10. 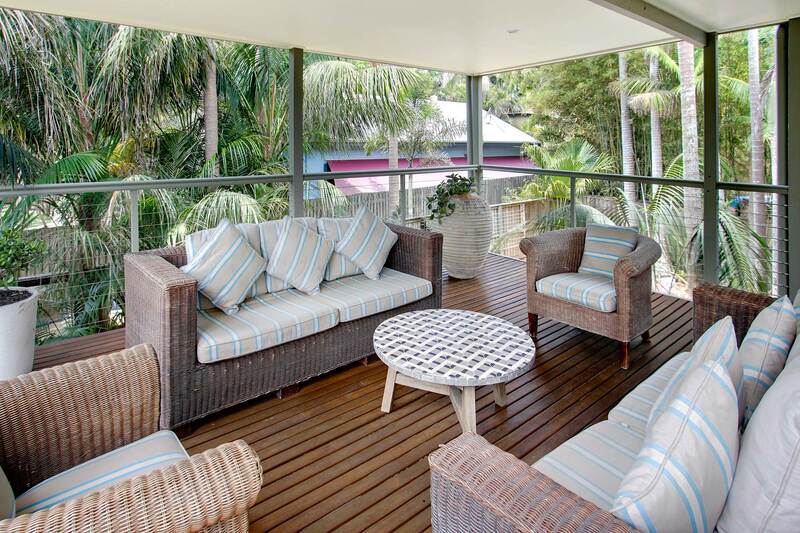 Nestled in tropical gardens, this double storey Byron beach house is spacious and modern, with simple, contemporary furnishings and neutral interiors, with pops of bright colours and patterns. 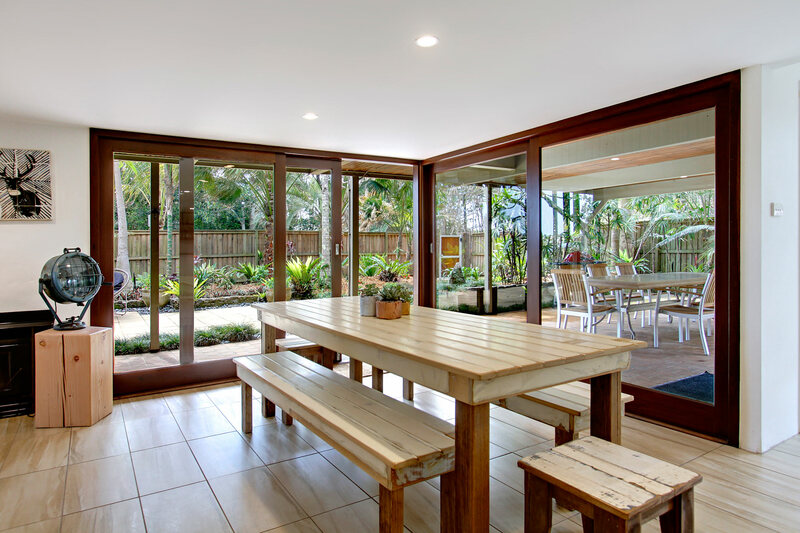 Floor to ceiling glass on both levels at the rear of the house ensures guests are bathed in natural light while inside. 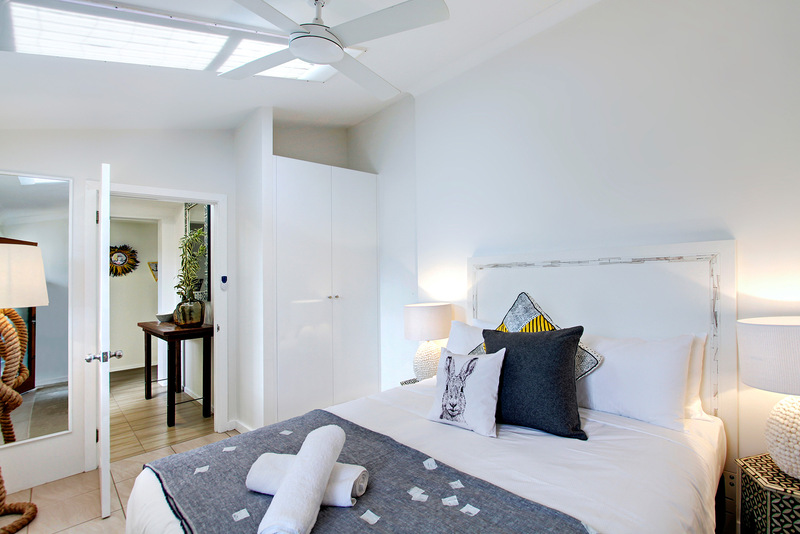 5 large bedrooms are bright and inviting, with the master suite including an ensuite bathroom with spa bath. 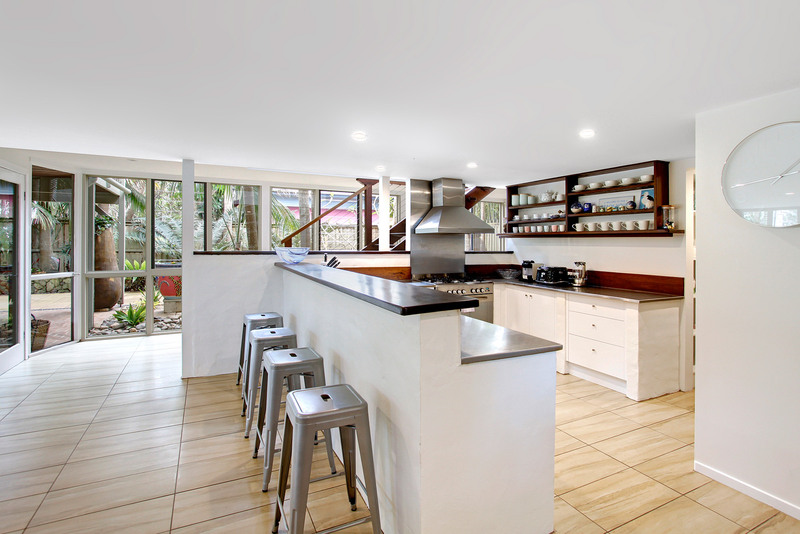 The fully functional kitchen features quality stainless steel appliances, including gas oven and cooktop and the sun-drenched open-plan dining space opens out to a covered entertainment area, with al fresco dining and BBQ. 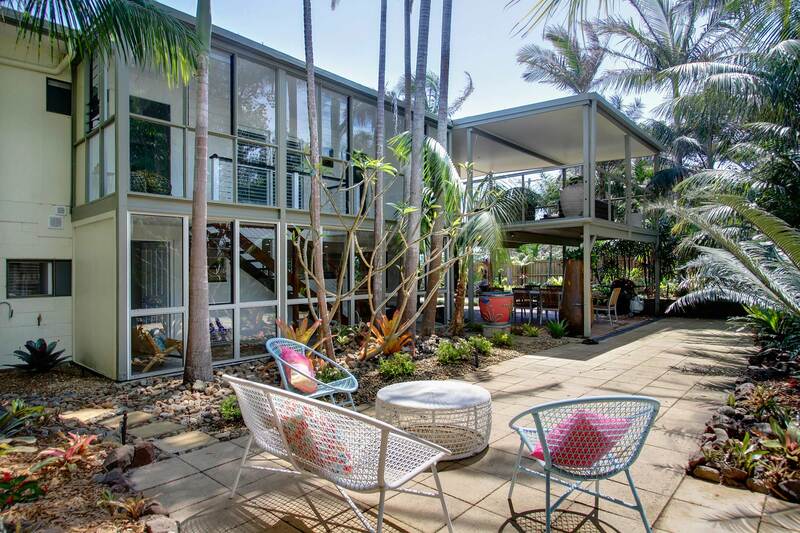 A large sunny courtyard space on the ground level is decked out with cosy table and chair settings and framed by lovely tropical trees and gardens and a huge wraparound upper deck area promises relaxation, with modern outdoor seating and hammock. 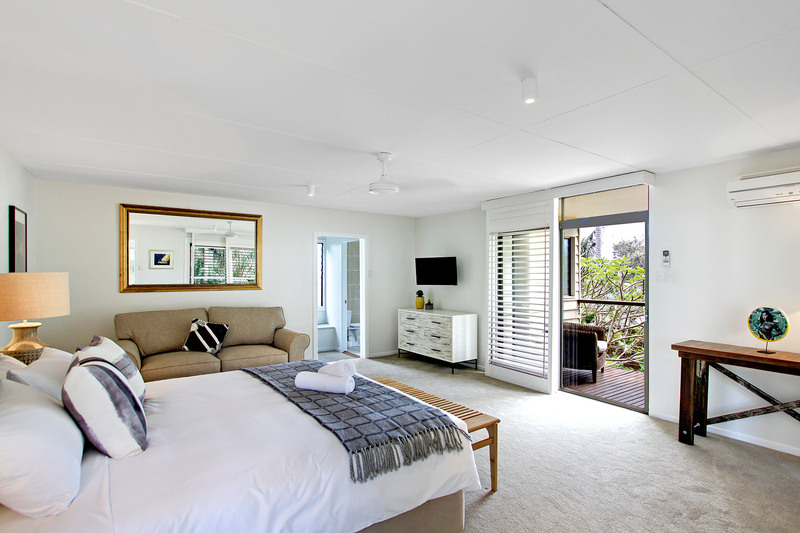 Walk 150m to the stunning Belongil Beach and take a 15 minute beachside stroll to access bustling Byron Bay dining and retail precinct. 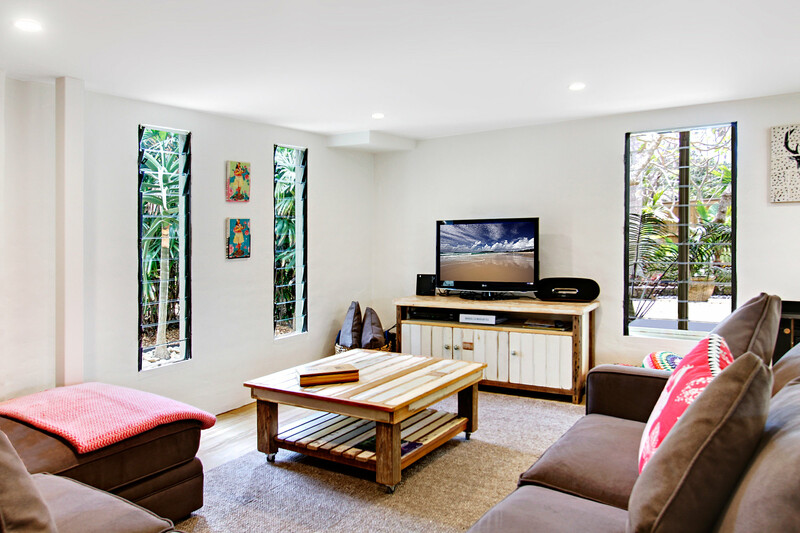 Relax in the cosy living space on comfortable lounges, with your choice of over 80 Foxtel channels on the flat screen TV. 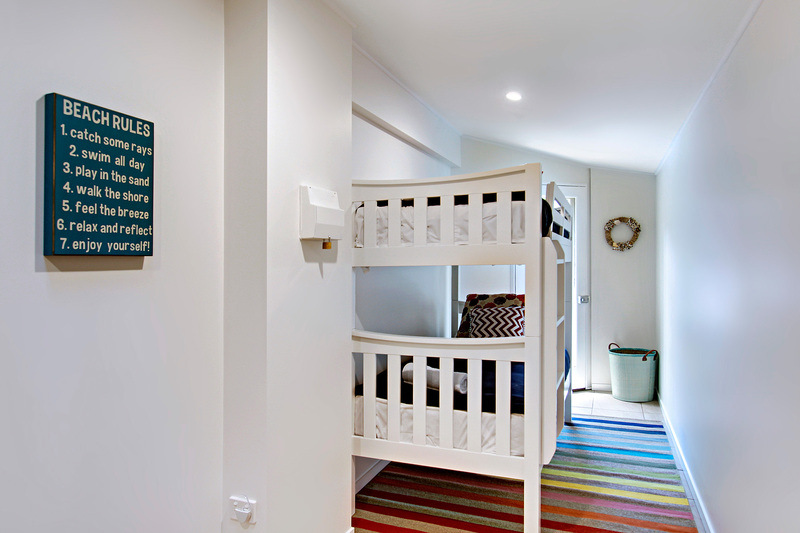 Bright and casual textiles combine with reclaimed timber to create an easy beach-inspired interior feel. 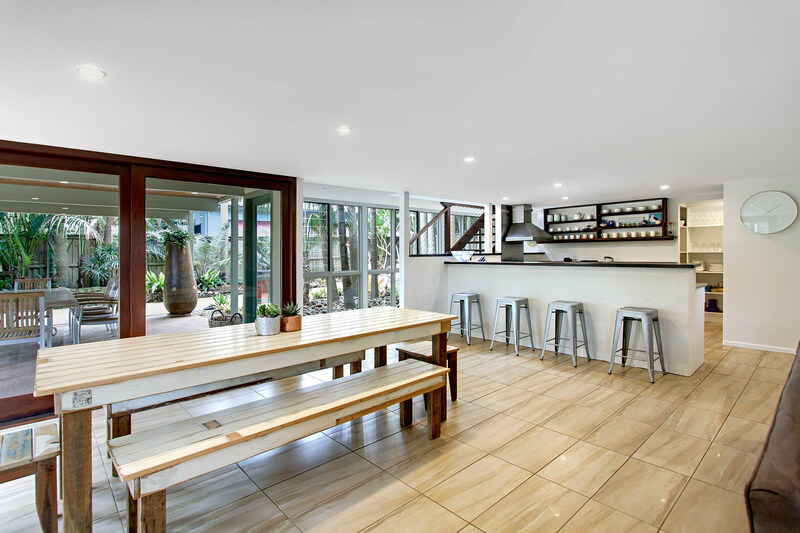 Dine at the gorgeous timber table and bench seats, beside wall to wall timber framed sliding glass doors to the outdoor space beyond, maximising natural light and mastering the seamless indoor-outdoor flow. 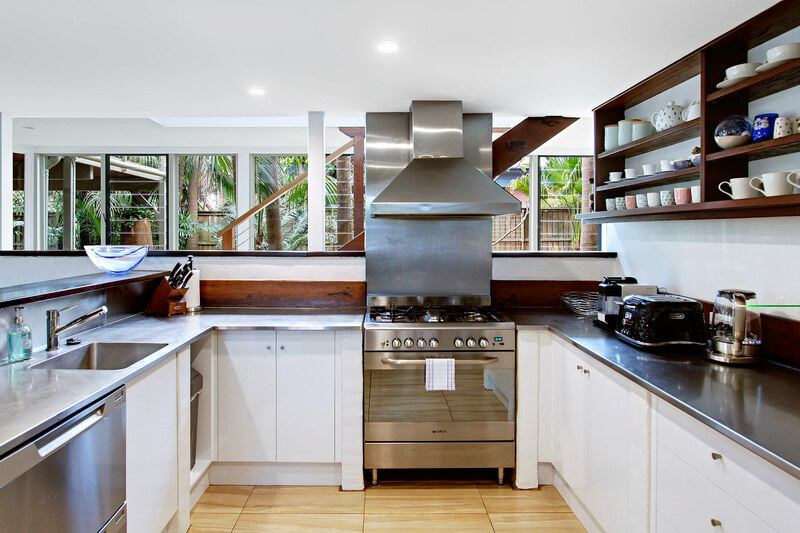 Work your cooking magic in the the modern and contemporary kitchen, which includes 4 seat breakfast bar dining, ample bench and storage space, quality stainless appliances and a large gas operated cooktop and oven. 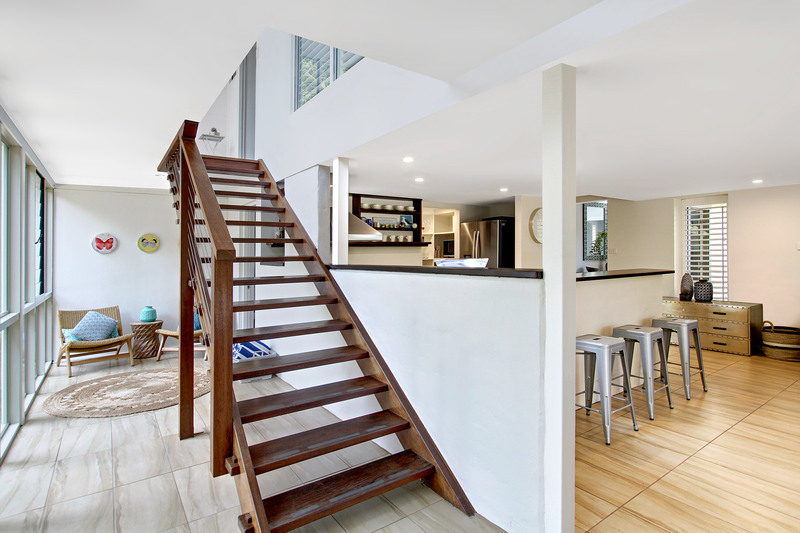 An open timber staircase leads to the bedrooms upstairs, which all showcase a fresh, crisp interior style, with plush furnishings, neutral white pallette and splashes of modern colour and geometric designs. The large, light-filled master suite has a sofa, flat screen TV, ensuite bathroom with spa bath and doors opening on both sides to the sprawling upstairs covered balcony space. 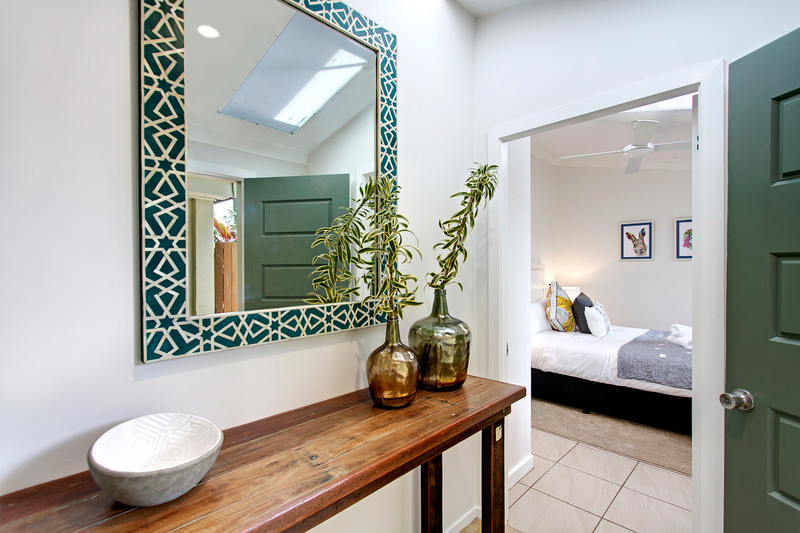 Jimmy’s boasts 3 contemporary bathrooms, all featuring a simple modern style. The ensuite bathroom off the master includes a relaxing corner spa bath, as well as a large double shower and the guest bathroom also comes with a built-in bath. 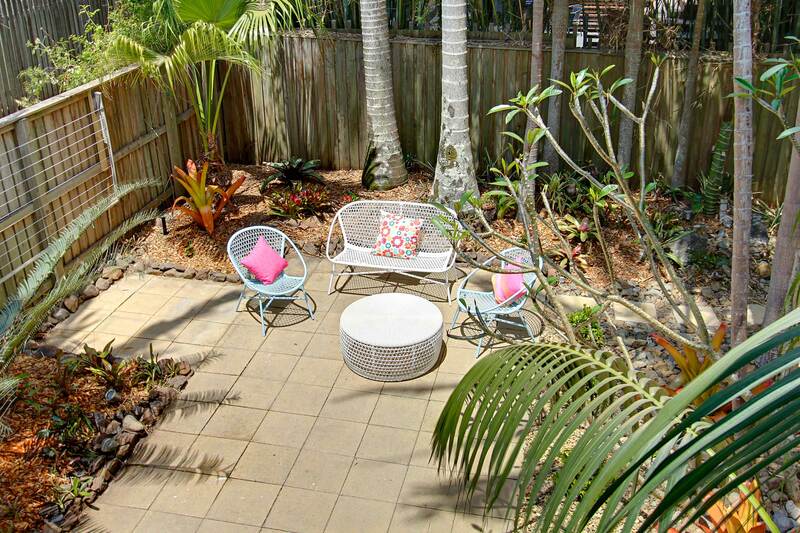 At the ground level, a large, sun-soaked, paved courtyard area wraps around the house, with palm trees, native shrubbery and rock gardens and modern table and chair settings. 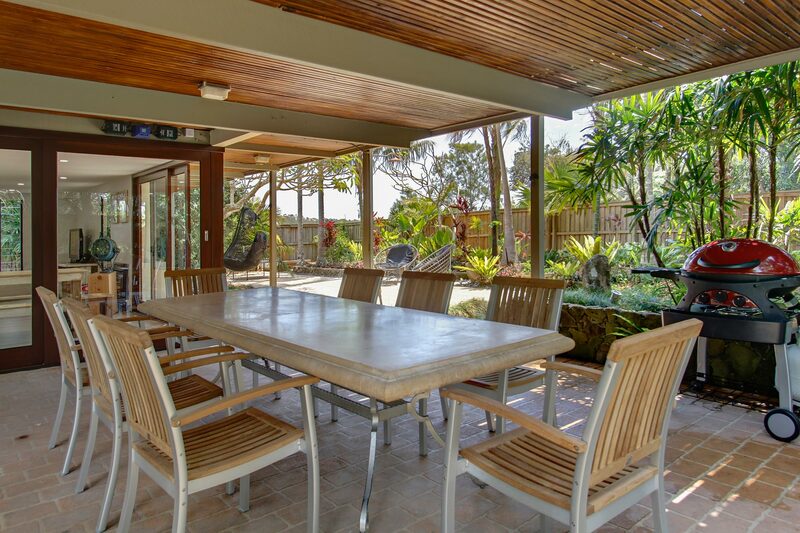 The open and breezy under-house entertainment area includes large al fresco dining space, with 8 seat timber dining setting and BBQ, as well as additional outdoor space with seating and swinging pod chair. 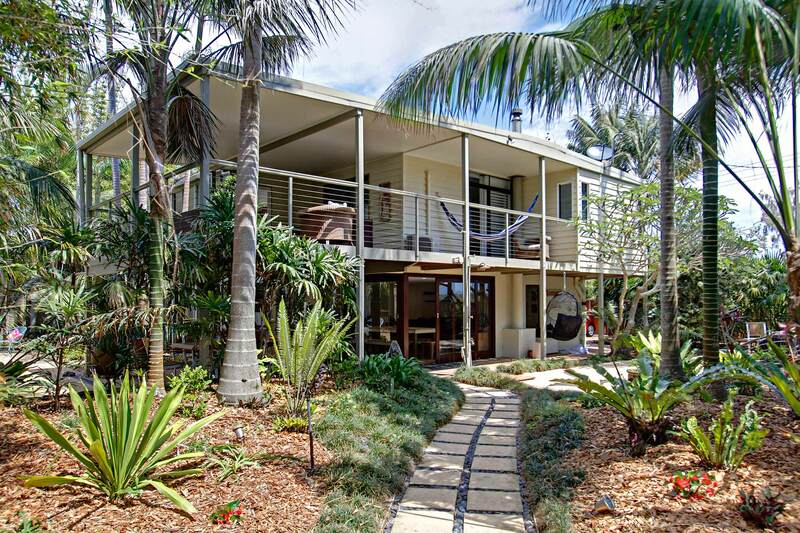 Enjoy the beautiful Byron Bay climate from the huge, wraparound upstairs covered deck area, relaxing by the shade of palm trees, resting on modern outdoor lounges and seating and swaying in the hammock. 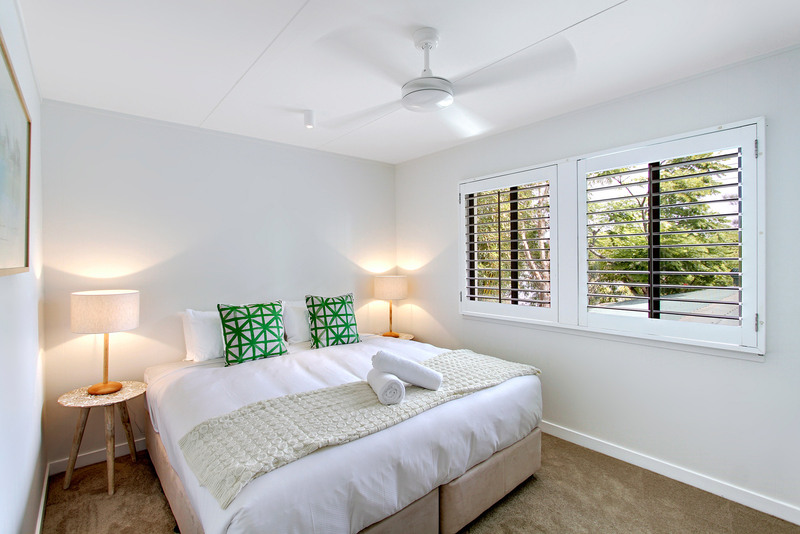 Jimmy’s offers guests complimentary WIFI and both reverse cycle air conditioning and ceiling fans throughout. The Foxtel Platinum package promises over 80 different channels for endless entertainment. 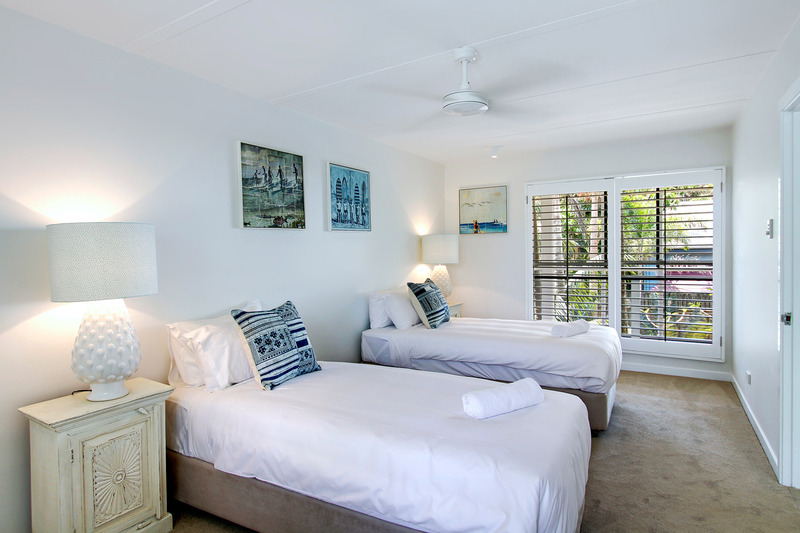 Jimmy’s Beach House enjoys a stunning coastal location, right on the shores of Belongil Beach. Wander 150m to access the stunning, secluded beach paradise of Belongil. For delicious family dining, live music and a fully licenced bar, wander only slightly further to local restaurant and bar, Treehouse on Belongil. 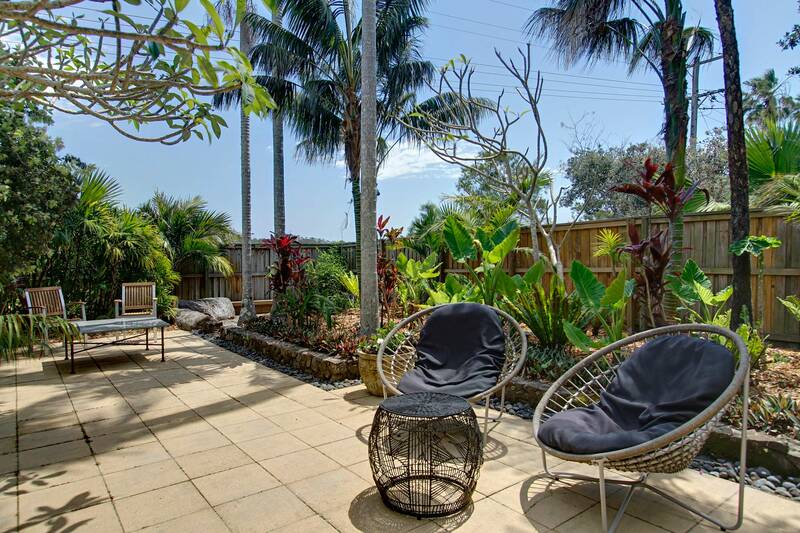 Enjoy a beautiful 15 minute beach walk to reach Byron Bay town or drive to town in only a few minutes. The house was in a great location, my friends and I really enjoyed the beautiful beach and we also liked going to the lighthouse. 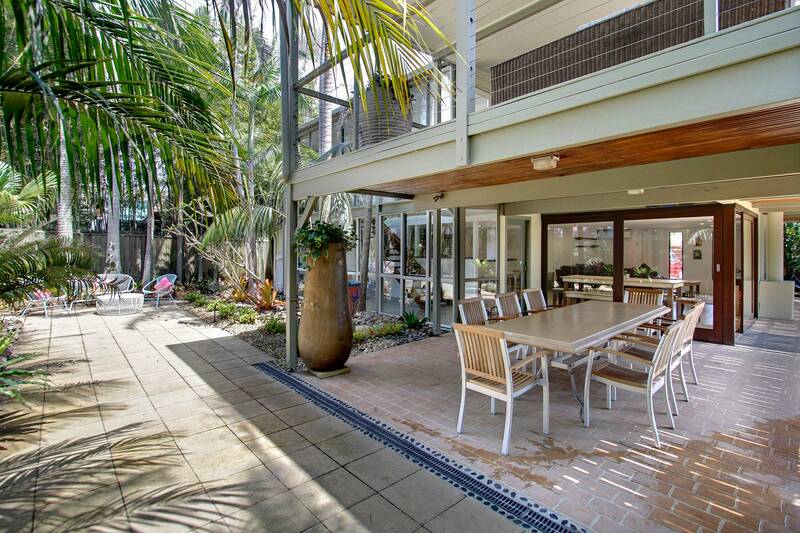 The house was perfect for our needs with plenty of space and so close to the beach and The Farm for our daughter's wedding. It was a relaxing home with a nice large garden to walk around in. I also really appreciated the early check in.